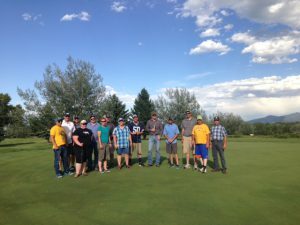 The MAAE stands for the Montana Association of Agricultural Educators. The MAAE is affiliated with NAAE, MACTE, and ACTE. MAAE is the professional organization of the agricultural education instructors of Montana. We advocate for agricultural education, provide professional development for agricultural educators, and work to recruit and retain agricultural educators in the profession. The membership dues package is $250. This includes: $60 MAAE, $60 NAAE, $50 MACTE, and $80 ACTE. FFA Advisors play a key role in the success of our organization. 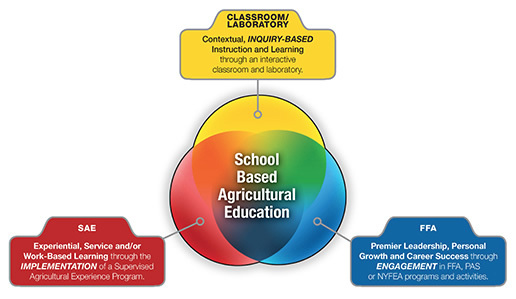 FFA is a three circle model, and our Agriculture Education instructors take part in each aspect. They serve as instructors and advisors in the classroom, meeting room, and out in the field. Montana FFA is extremely proud of and thankful for its dedicated advisors. We are always in need of new teachers to step in and fill positions that may be left open.